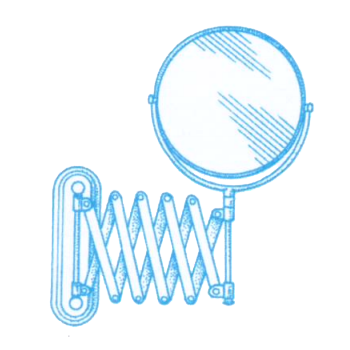 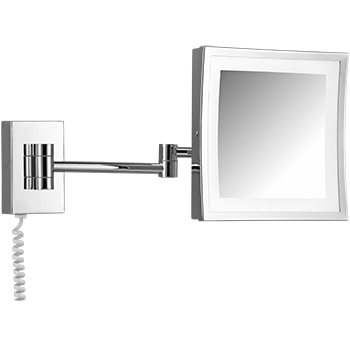 Square LED cosmetic mirror on double folding arm, with chrome frame and white spiral cable. 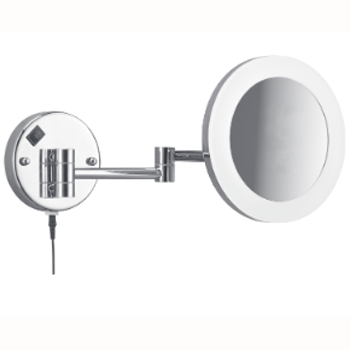 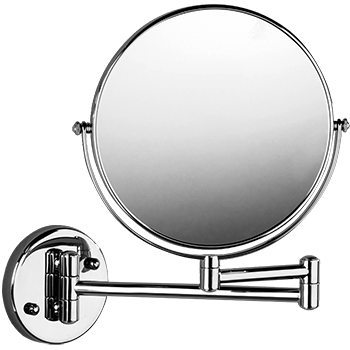 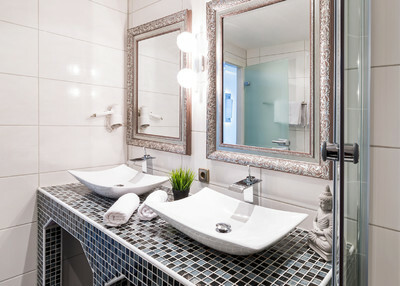 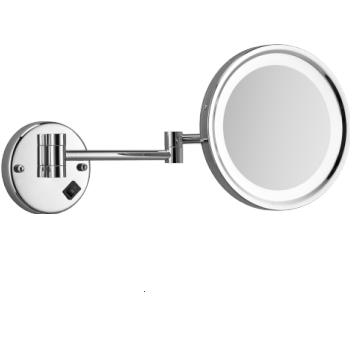 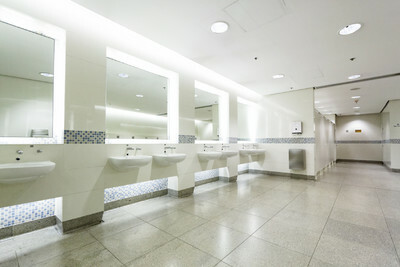 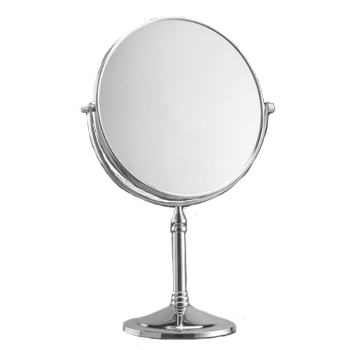 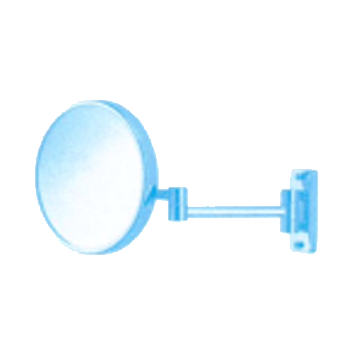 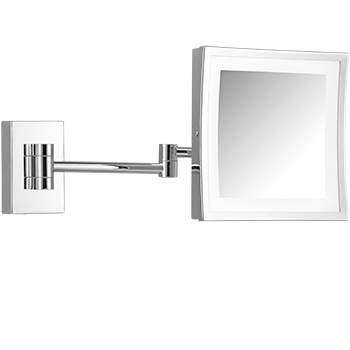 Round LED cosmetic mirror on double folding arm, with chrome frame, without cable, for in-wall installkation. 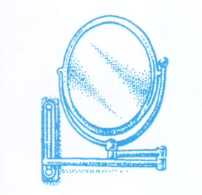 Runder Kosmetikspiegel am Doppelgelenkarm mit rundem Wandsockel und Rückseite Normalspiegel.